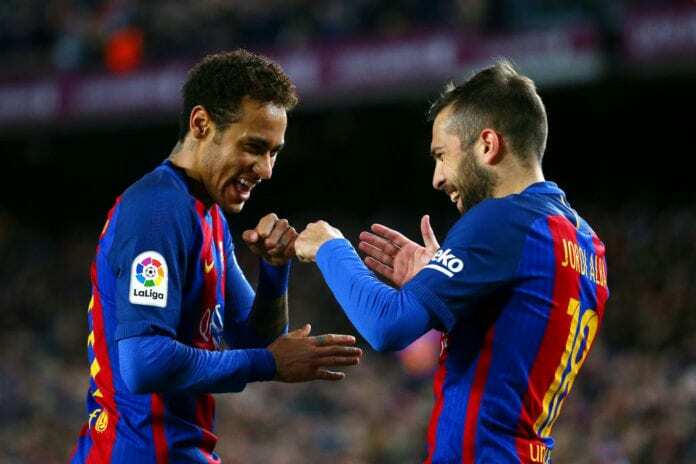 Catalan left-back Jordi Alba spoke to Diario Sport about the possibility of Neymar going back to FC Barcelona, he thinks they are false rumors. After Neymar left FC Barcelona to play for Paris Saint-Germain, players like Jordi Alba were really hurt because the Brazilian made this decision when he was at the top of the world with the Catalan club. There is a train of thought that explains Neymar wishing for a more protagonist role in a club where Lionel Messi doesn’t get in the way of his personal goals, but time has proven that the player made the worst decision of his career and he has only suffered at PSG since he moved to France. Now that the forward has realized that he made a mistake, suddenly he wants to come back to the Catalan club as several reports have been suggesting in the past months throughout the season. But these are just rumors that the Catalan press creates in order to push a narrative that eventually ends up making this a real possibility, these kinds of things happen all the time in football. When Cristiano Ronaldo was still playing for Manchester United and he wasn’t thinking about Real Madrid, the press made sure that Los Blancos convinced themselves he was the next great signing they needed in order to keep winning all the titles. Another similar situation is taking place with people like Eden Hazard between Chelsea and Real Madrid, Neymar is going through the same process but returning to Barcelona won’t be easy even if he really wanted to. 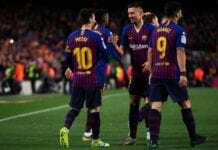 One thing that may help him come back to the club is the fact that Lionel Messi has already stated that he felt a major heartbreak when Neymar left the club, hinting that he would like the Brazilian to someday return to the place where he was the happiest. But the other players are not so keen on a footballer who already rejected them once, Jordi Alba is one of those players who didn’t appreciate Neymar’s gesture and honestly wouldn’t understand why a player who already refused to stay at the club would entertain the idea of coming back. 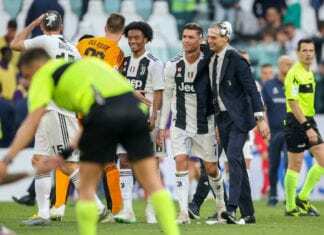 This situation rarely happens in football and it takes the players a little time to win the fans back after they felt betrayed, something very similar happened with Leonardo Bonucci when he left Juventus to play for AC Milan and then came back once he realized he had made a mistake. When asked about this specific topic when he was named the best Catalan athlete of 2018, Alba was honest about why he doesn’t believe Neymar will ever return to Barcelona and he even gave the impression that he doesn’t want him back. Looks like the Brazilian player will have to do a lot of work to win his former teammates over if the rumors are true, of course. “We never really talked about it, these are rumors that come from the outside that I honestly don’t think are true,” said Alba during the interview. What will Neymar have to do in order to win the fans and his former teammates back if he really wanted to play at Barcelona again? Please share your opinion in the comment section down below.